Wow, my blog has sure gotten...empty. Bye bye monthly TV bill? My blog is languishing while my Facebook page flourishes (that may be a generous description). I think it's a combination of convenience (the iPhone app), low barrier to entry (one line status updates), newness (to me), and the likelihood of getting feedback/interactions with others. Darn that silly Facebook! After avoiding it for years, I finally joined Facebook this weekend. You would think I would have figured this out before now, but I didn't. Apparently when I email photos from my iPhone--which is how I upload them to Flickr most of the time--the photos are downsized to 800x600. The original size of the photos is 1600x1200. This shouldn't be a huge problem, but it was compounded by several factors. I took a photo with my iPhone that I'd now like to print bigger than 4x6". The camera roll on my iPhone had gotten so full that I started deleting photos off the iPhone. Though I'd been downloading photos to my PC using Adobe Lightroom on a semi-regular basis, something went horribly wrong and they're nowhere to be found on my PC. I've now successfully downloaded all of the photos still on my iPhone at their full resolution to my computer, but the one I really want is gone. I haven't yet figured out a) how to force the iPhone to email photos at full resolution (or an iPhone app that does this) or b) why Lightroom failed to save the photos it'd been telling me were successfully imported all this time. Also, it turns out that you can theoretically delete multiple/all photos from the iPhone through Windows (something you can't do directly on the iPhone) but conveniently a bug was introduced in the latest (2.2) firmware update that caused the iPhone to crash in a big way (several minutes to reboot) when you attempt this now. Awesome. A project I've been working on for a number of months is going to public beta as we speak and The New York Times wrote an article about it: Amazon Plans Online Store for Films and TV Shows. "In a significant step toward vanquishing the local video store and keeping couch potatoes planted firmly in front of their televisions and computers, Amazon.com will roll out a new online store of TV shows and movies on Thursday, called Amazon Video on Demand. 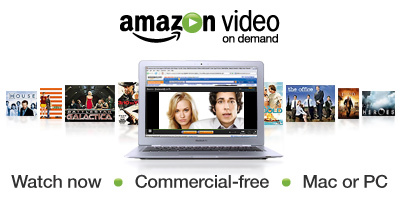 Customers of Amazon’s new store will be able to start watching any of 40,000 movies and television programs immediately after ordering them because they stream, just like programs like a cable video-on-demand service. 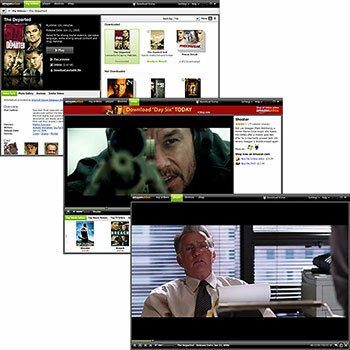 That is different from most Internet video stores, like Apple’s iTunes and the original incarnation of Amazon’s video store, which require users to endure lengthy waits as video files are downloaded to their hard drives." You can join the beta if you're interested in trying it out, though sign ups are limited so do it now if you want to try it out. If it's full, try back later. 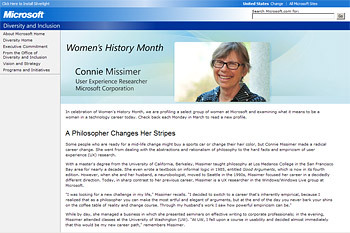 My friend Connie Missimer was featured on Microsoft's women's history month page last week and I didn't blog it in time. 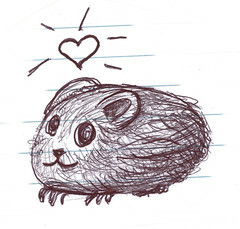 However, you can still get to the page about her: Connie Missimer, User Experience Researcher. It's a nice profile. I read this blog post, which culminates in the "Best Customer Service Email" that the writer says he's ever received, and I have to agree with the author. The story is funny and the response from Amazon Executive Customer Service is witty and fantastic. I checked with the customer service rep involved to confirm the story is true. Enjoy. The Consumerist: Amazon Sends "Best Customer Service E-mail I've Ever Received"
This photo's title, and the following comment accompanying it, make me sad for the part I played in Vista. "Yes, I am a photographer still using a PC *shut up* and I have a new speedy laptop with Vista OS. I have a little suggestion for the folks over at Microsoft...Maybe you could make and release stuff that just, I don't know, works?" On the up side, I know deep down that what I contributed was actually great, no matter the overall product outcome. Not that Vista is truly bad, it's just got some serious issues. 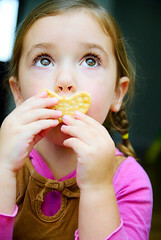 Amazon.com just released a new --and in my opinion dramatically improved--global navigation system. It's actually been up for a while, but was only shown to a percentage of customers. Today it's the official navigation shown to all site visitors. It's not perfect, but I'm a fan. Here's a quick tour of the new nav. This is an interesting, funny review of the iPhone. It’s long, but the “summary” is a good read. Also note that it hasn’t been updated since July and some of his gripes have been addressed or improved upon in the 1.1.1 update that came out last week (other gripes have actually been worsened—mostly the lack of 3rd party app support). There's a great video in the New York Times technology section on how to hack the iPhone, or more specifically how to install 3rd party apps on your iPhone. Check it out. Be sure to note the warning at the end (in text) before actually trying it out. There is a World's Best Presentation Contest on a beta site called SlideShare.net. I particularly like this presentation called Shift Happens. I think the facts are presentated in a really startling and compelling way. I think the first 25 slides about education and globalization are the most effective and maintain the most cohesive theme. After that it shifts gears to a broader Internet and information growth theme, some of which is interesting, but it feels a bit more like hype. I was dubious of the facts and wished for sources, which I later found. If you're interested in the history and future of this presentation and thoughts from the author of the original presentation, check out the post Two Million Served on The Fisch Bowl. It was originally an internal presentation given to the staff at Arapahoe High School in Colorado. Not that RSS readers will see this, but I've updated my RSS feed URL due to some problems with the Feed Burner feed not showing up in IE 7 and not being updated with my most recent posts. The new URL is http://www.solwerks.net/blog/rss.xml and it should appear correctly in IE 7 and in the blog feed link in the right sidebar of this site. Last night at bedtime I ran my iPod battery out. Not too unusual. Today when I connected it to my PC, I saw this animation, and later the Apple logo. That was it. An hour later, still none of the normal UI. I tried resetting, same. I tried another USB port. Same. I tried another PC. Same. Reset. Reset. Same. Follow online support instructions. Same. I went by the Apple Genius Bar in University Village after work. The Genius got my iPod to work by plugging it into the wall (that's an extra $30 accessory to you), resetting it, and waiting a good while. He asked if I knew that there are more than 17,000 tracks on my iPod. My response: "But it's not full yet, right?" The outcome: Watch and wait, or consider restoring (read: reformatting) your iPod. The good news: I thought ahead and bought the extended warranty on this specific purchase because I knew this would happen someday. A funny bit of info appeared in the New York Times' political blog. Mr. Schmidt [chief executive officer of Google] said that by by Google's calculation, a new blog is being created every second of every day. 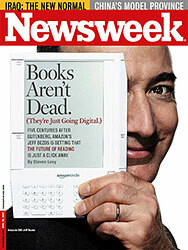 He said that Google now estimates that the average blog is read by one person. One person. Hello? Is anyone out there? Mom? 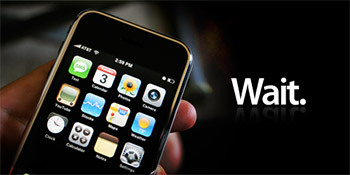 There is a lot of Apple envy today among user interface designers, and others, around the world. 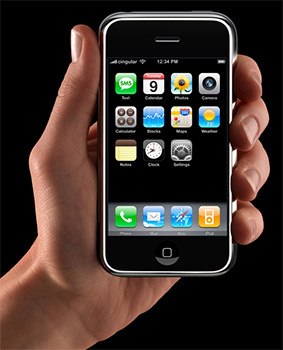 Steve Jobs announced the release of Apple's new iPhone in his keynote this morning at Macworld San Francisco 2007. I'm not rushing out to buy one, but the demo videos on Apple's website are pretty stunning.